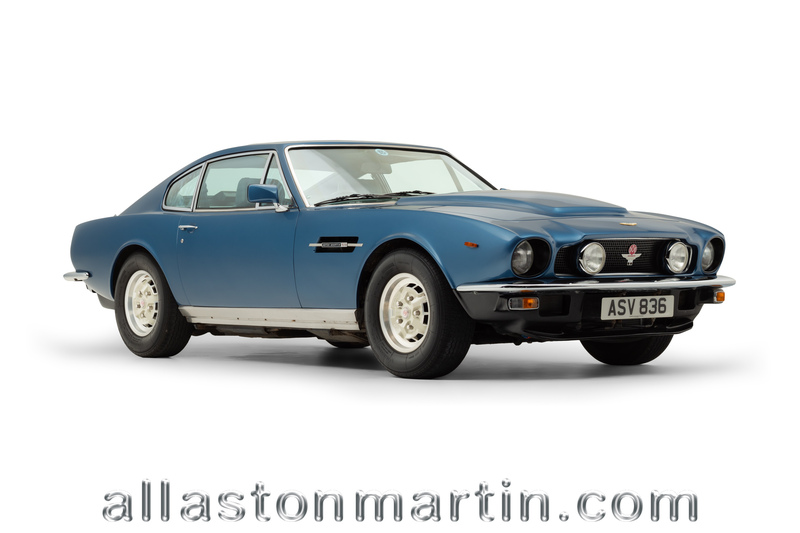 Announced in April 1972, the AM V8 is an extensively modified version of the DBS V8 which was announced in September 1969. 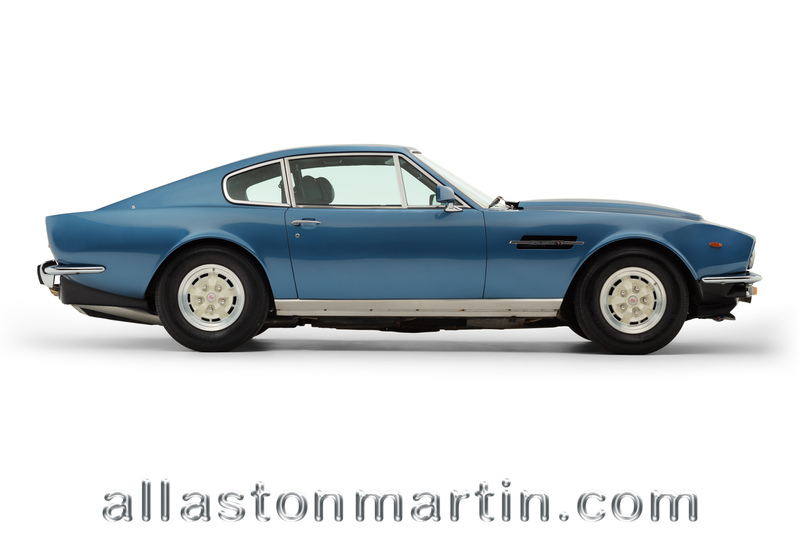 Externally, the grill was entirely new, no longer sweeping across the complete front but now tailored between the head lamps reminiscent of the earlier six-cylinder models such as the DB3S. 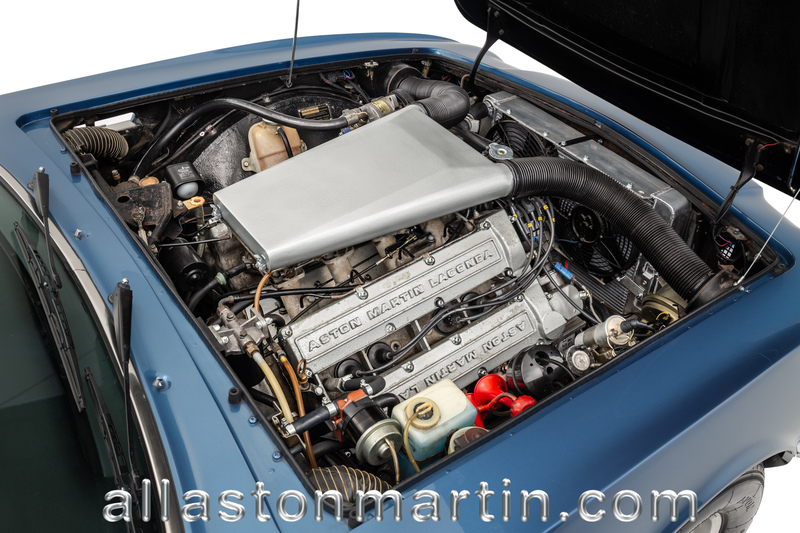 The engine, was by then the well tried and tested all alloy V8 designed by Tadek Marek that had made its first appearance in January 1967 at the Racing Car Show in London and raced by Lola in their Type 70 Mk III GT. 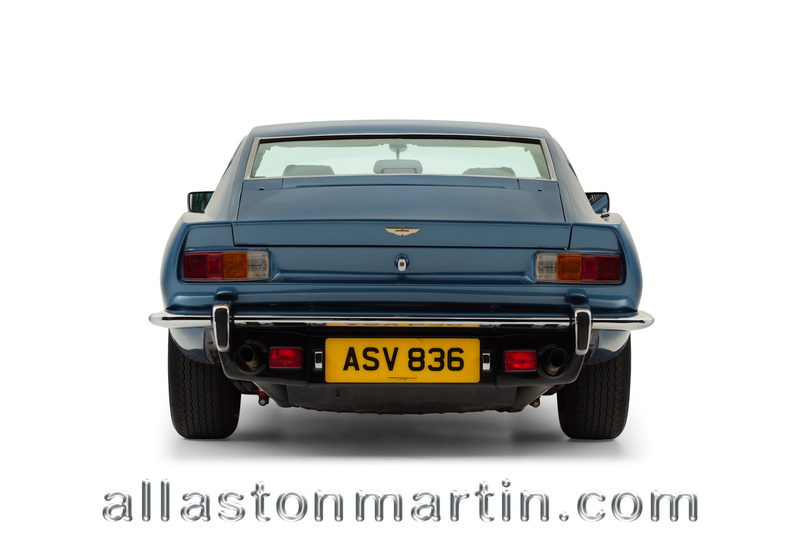 1978 was an exciting year for Aston Martin and their owners, in June the Volante was unveiled and a few months later the V8 series IV or “Oscar India” = October Introduction, became available. 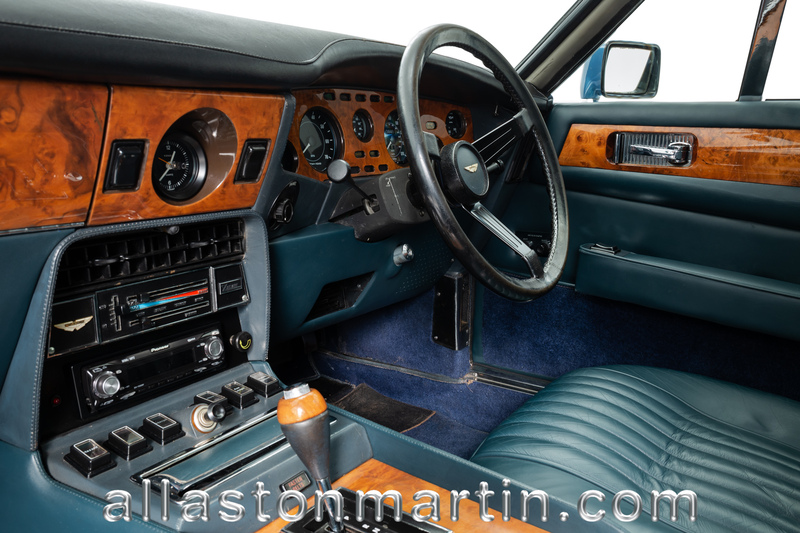 The revised specification of the series IV included a change in shock absorber settings, leather head lining, burr walnut dash board and door cappings, discreet integral rear spoiler, carburettor bonnet bulge with the dummy air intake now closed at the front and extensive improvements to the standard air conditioning. The owner passed on the service and ownership history of this lovely car to us – a ring binder chronologically ordered with correspondence, invoices, photographs and event attendance record. At the front of the file is a page with a photograph of the car performing at Goodwood in July 1990 and below it, the most apt summary that you could give a classic Aston Martin. If you are looking for the very best Oscar you could buy, this is it! 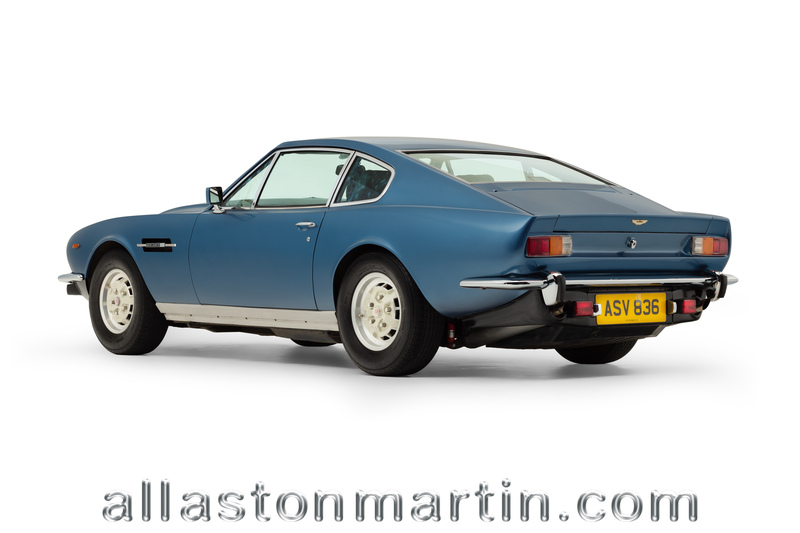 There are many in the Aston Martin community who will immediately recognise this much loved and beautifully presented Oscar India. First registered in December 1979 to a Mr D Shalston of Edgware in the outer reaches of London, she was bought by the current and only second owner in December of 1987. A real Aston Martin enthusiast, the owner of ASV 836 has been a regular competitor in AMOC events in a modified Aston Martin DB Mark III and as well as being used in all the usual family ways – holidays in the South of France, family weddings and all sorts of outings – this delightful V8 has bared her teeth on the track as well! 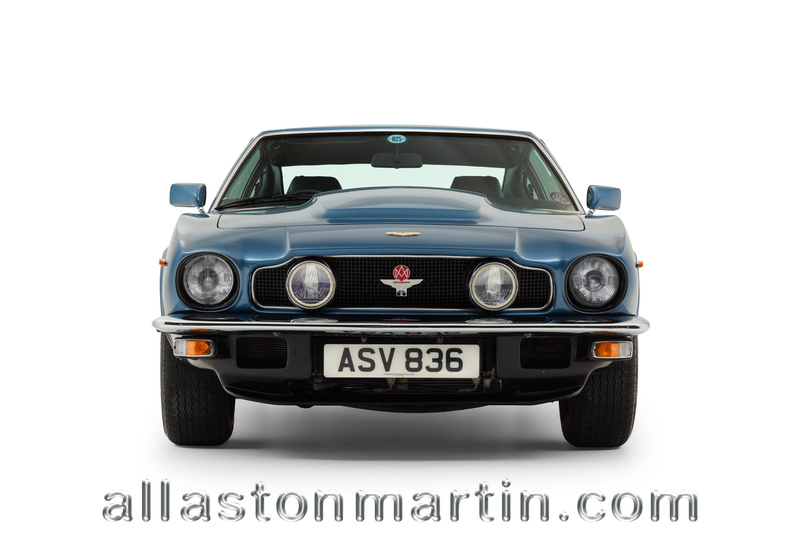 She still holds the track record at Goodwood for a standard V8 and there is silverware from Hill Climbs at Wiscombe. 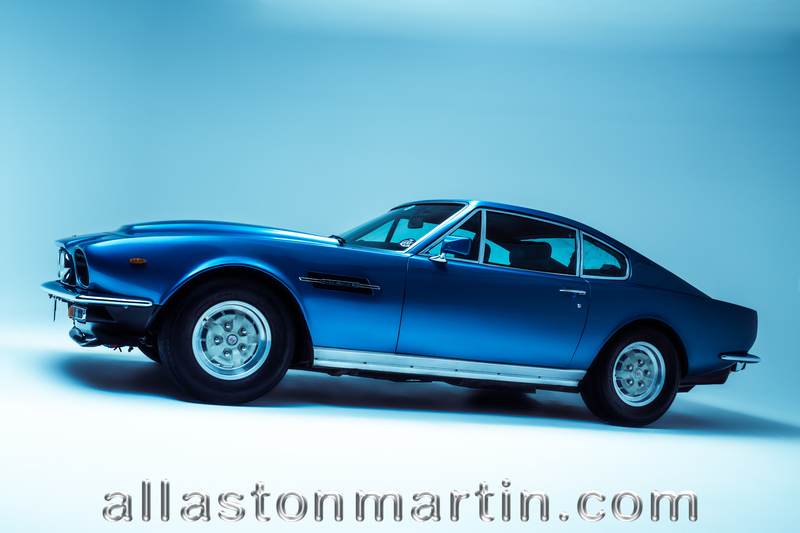 The original owner used the services of Ian Mason for servicing the car and in the early years of his stewardship, the current owner followed suit. When Ian Mason retired, service and maintenance duties transferred to Tim Butcher at Trinity Motors where the original automatic gearbox was upgraded to a 4 speed ZF unit – no external difference, just enhanced acceleration and economy. 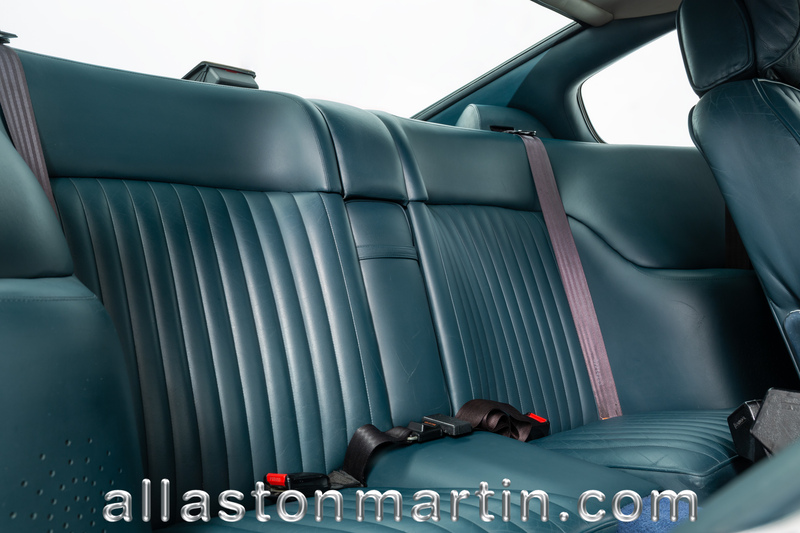 In 2008 and in acceptance that the car’s bodywork needed the same attention that had always been afforded to the mechanical side of life, the owner commissioned Alan Smith of New Romney to conduct a full body rebuild with the remit that the car should be “better than when she came out of the factory”. There has been no let up in the excellence of maintenance, something often seen as the first flush of enthusiasm of ownership wears off. This owner’s enthusiasm for the car has continued tight up to date with the last service invoice from Trinity Engineering as recent as April 2018. Follow this link to review the car's competition history. Carrying out 5,000-mile engine, chassis, transmission and external body services. Cleaned and checked all brake pads and calipers. 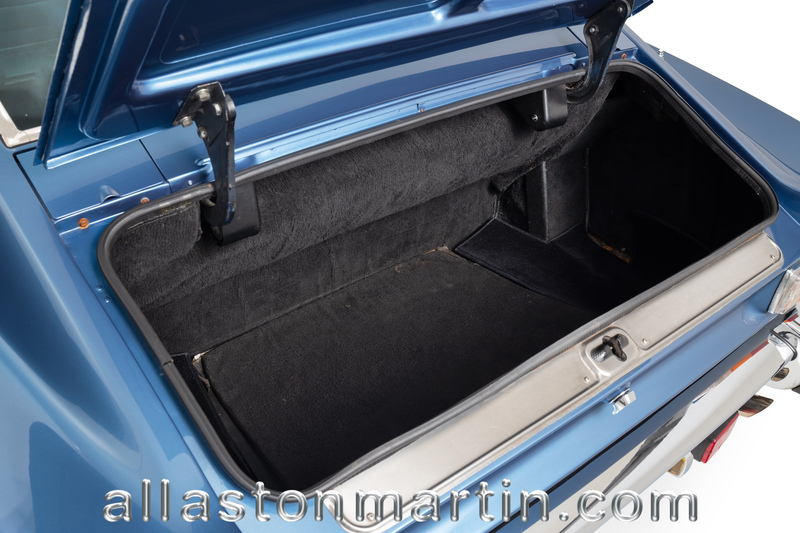 Repair door light wiring and prepare and reshape boot lid. Check for misfire, carried out compression check, changed plugs, changed voltage regulator and cleaned all idle jets. Service and check prior to Silverstone test day, replace n/s/f lower wishbone/reactor strut bushes, adjust king pins and bearings check track. Fit new throttle rod bearing. Cleaned underside and re-applied underseal and waxoyl. Replace n/s upper manifold, replace n/s camshaft gasket.